Here are the top helmets that I have found based on my personal research. I hope you find these reviews helpful. Feel free to do your own research and check the safety rating of each helmet before purchasing. This is the sort of helmet offering great protection without having to compromise the player’s performance and feel. The Surefit airliner made out of TPU creates a fit that is ideal ensuring its durability, the airliner forms a cushion that is pillowy ensuring that players are as comfortable as possible whilst being protected. Best of all, this extra safety doesn’t compromise the performance of the player as it’s a lightweight and versatile helmet. The comfortable jaw pads included are designed to offer maximum protection to the areas of the jaw and mandible with TPU that is very comfortable featuring a design to feel awesome while frontal and side harms are minimized. Just a word before you read this… don’t judge a book by the cover. You might ask yourself why but for a number of people, the similar resemblance of the Schutt Vengeance VTD II Helmet and its predecessor might be misleading but it isn’t a carbon copy. Schutt managed to tweak the in the liner under the shell of the vengeance so as to increase the impact absorbing qualities of this helmet. 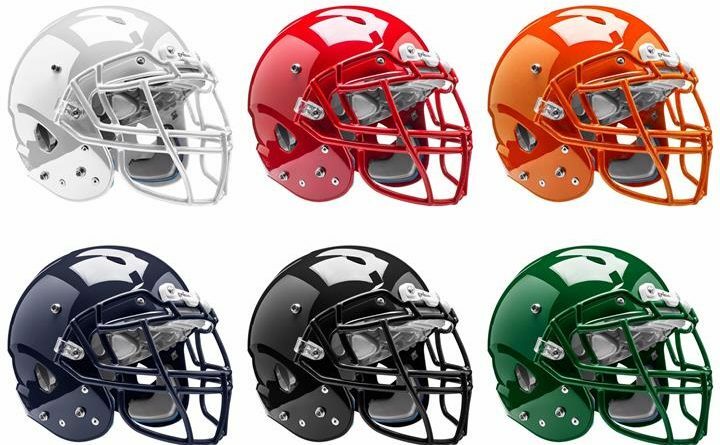 The results were eye-popping as according to Virginia Tech ratings, it managed to take the top slot as the best scoring helmet. The upgraded liner has still managed to retain its pillowy feel which vengeance helmets have a reputation for. 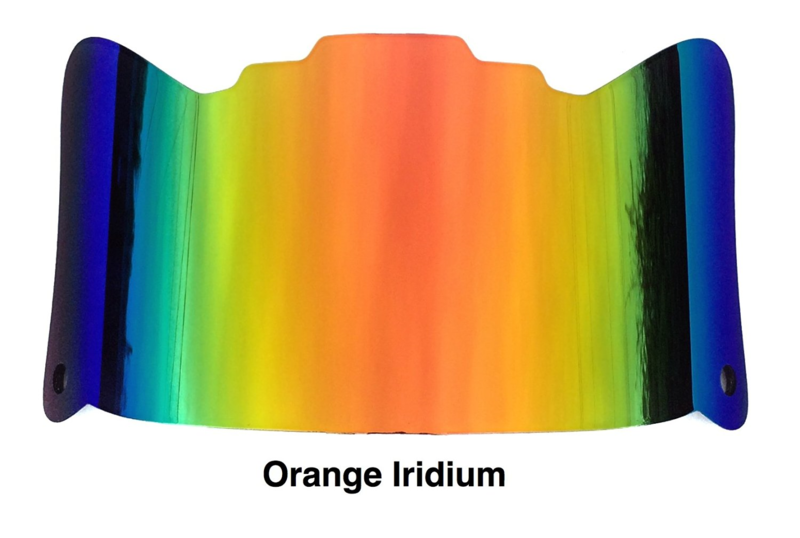 The aggressive shell layer has remained the same and it still includes the Flexural Resistance Back Shelf that helps in increasing the strength and absorption of impact in the back of the helmet. The occipital Lock – This is the feature works by cradling the back of the head thus creating a fit that is more secure and improves the stability and comfort. It also aids in protecting the head against tackles and backward falls. 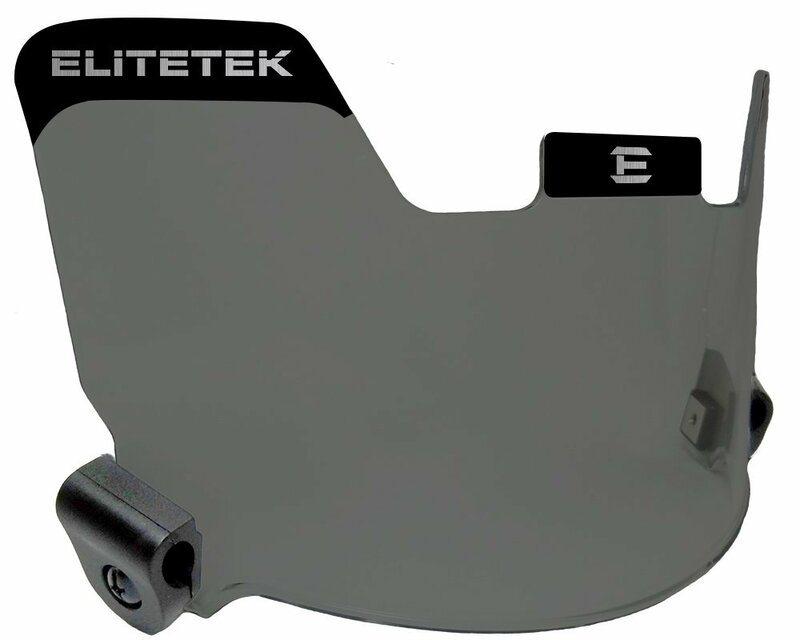 The flex impact System – So as to advance frontal protection, its faceguard in combination with the facemask hinge clips does absorb more force on impact and the result is a reduction in the shock that is felt by a player. Enhanced Facial Frame – It is expanded so as to provide extra protection to the jaws and more of the front areas. The company improved the polycarbonate’s shell and it can thus reduce the force of impact from side hits. 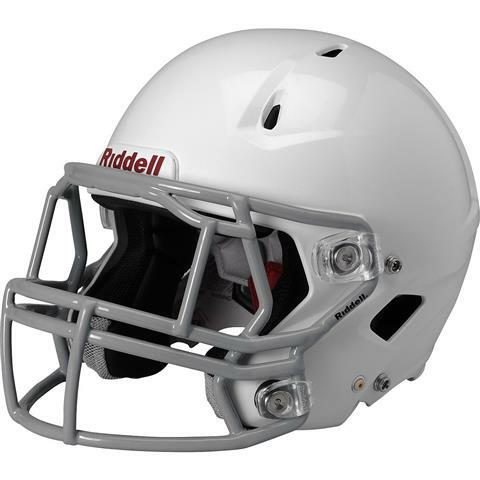 Hexagonal Liner System – This is one of the Riddell 360’s most noticeable feature. Not only does this looks amazing but it succeeds in absorbing more force of impact while the helmet fit is improved and secured and also delivers the stability and comfort. Extension of the liner around the helmet’s sides gives even more protection to the front areas of the head. 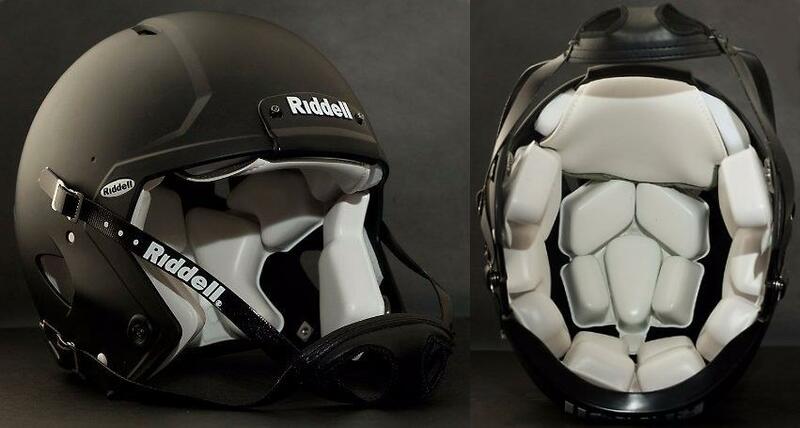 If you are a big fan of Riddell brand and you want the highest reduction in concussion risk, make sure to check this Riddell SpeedFlex helmet. It might be the one you are looking for. 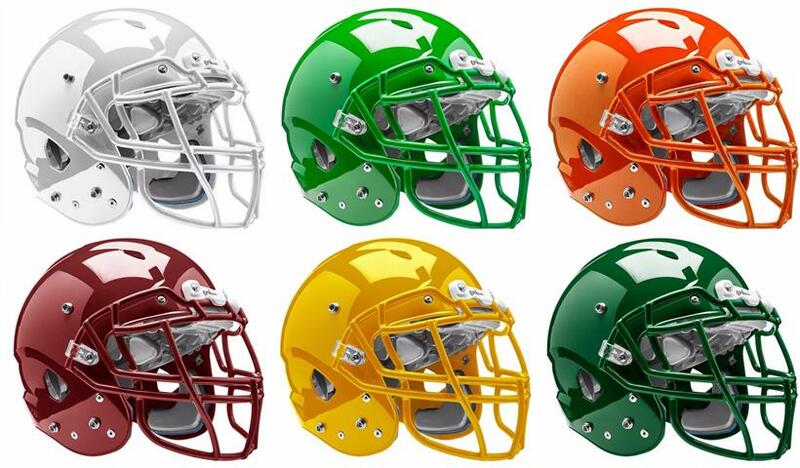 This is that type of helmet built for fiery players without fear of going out into the gridiron and butting heads. This has been made possible by the dual compression TPU (single layer) which arrives standard on this sports companion. This also helps to keep the players safe from linear and rotationary impacts. This helmet also arrives with adequate ventilation to ensure that a player remains cool and dry through the game. The attachment this helmet has for facemasks is one thing that pushes players to wanting to acquire this helmet. This helmet fits all the visors and facemasks that lie around. The only drawback to this helmet probably is that it doesn’t come with a facemasks but besides that, it with all the necessary protection on the gridiron. This is a very high-quality helmet most importantly due to its elite protection on impact. 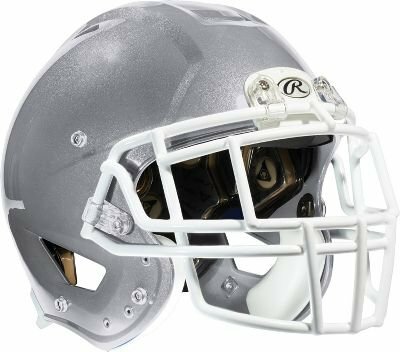 The Riddell Youth Revo Edge is highly cushioned on every side which is a very rare feature in junior leagues. This also boasts of a facemask that is very light and jaw pads that are inflatable. In overall, this a kind of helmet which guarantees you most protection for the money you pay for it. 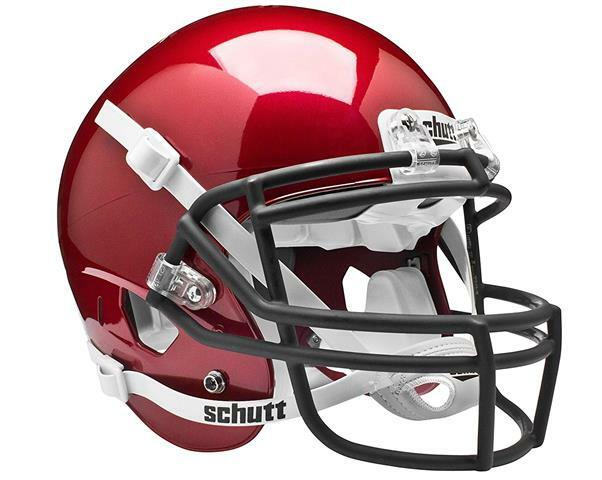 Schutt does a good job of making amazing accessories for football and this helmet is not an exception. A reason as to this is the kind of protection in addition to comfort offered by this helmet. This helmet also does have the TPU cushioning which helps in absorbing all the impact met throughout the game to ensure that the player stays safe and is adequately protected as necessary. The cushioning of TPU is as lightweight as it can possibly be. A player is able to wear it then play for long periods in it without feeling any strain of weight. The SUREFIT airliner has become the most anticipated feature for any player purchasing this accessory. This liner does a good job of ensuring that the helmet does easily fit on your head and doesn’t come off while the game is on. Another important factor is the adequate ventilation offered by this helmet when the player needs to stay cool and dry during a game in hot weather. Besides, it has enough attachments for all sorts of facemasks and visors. So it’s possible using your favourite visor or facemask with this helmet. This helmet doesn’t arrive with a facemask or a visor as those need obtaining separately. This is another great helmet which comes with patented features such as the twist and release system. The dual compression TPU (single layer) is an amazing feature of this helmet which helps in absorbing impacts which are violent and coming at a high velocity. This helps in keeping the player sober and injury free. A very comfortable airliner is also present for the sake of a nice fit. The safety standards offered by this are off the roof as they allow every player to have a playing time of quality which is carefree. The twist and turn feature enables removing the helmet an easy task while it is kept in place by the inflated liner. The Schutt Adult ION 4D is a one of kind of helmet which will change any player’s perspective on all previous helmets they have used. 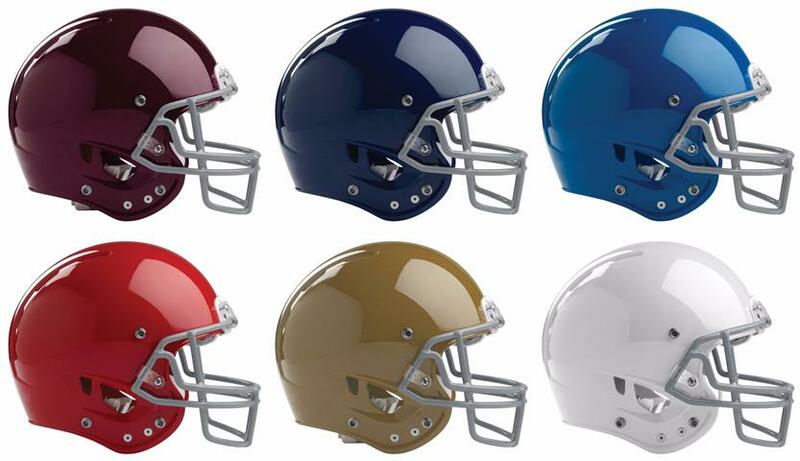 This helmet produced by Schutt sees wide use in a number of college and elite professional programs. How really is it better? Schutt features an awesome technology (SKYDEX2) which is by far one of the most advanced system of cushioning for helmets and which outperforms the traditional foam in all aspects of a helmet’s performance. A player need not worry about any mould or mildew near their forehead as this kind of technology isn’t affected by outside temperature. This is a kind of helmet that should be tried by every player in the game. 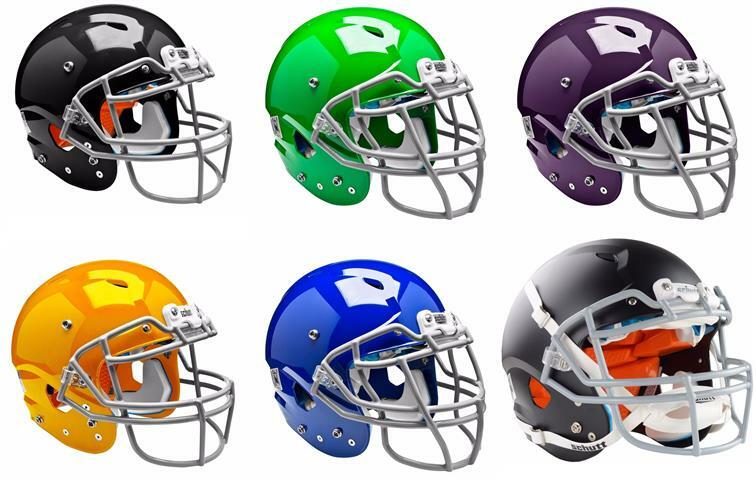 This is another helmet for the youth arriving in a variety of colors to pick from. 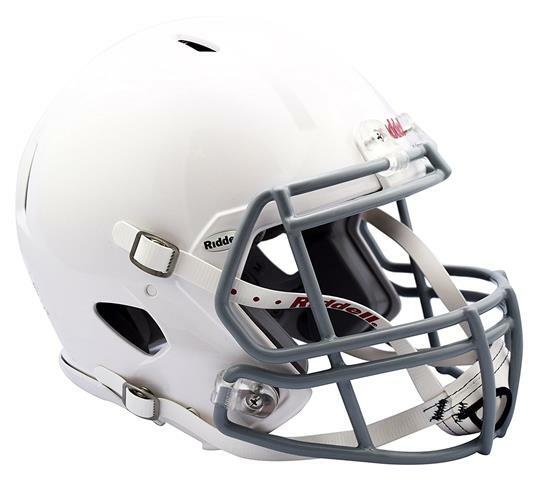 This helmet also arrives with a number of other state of the art features offering an unquestionable guarantee of the player’s safety while wearing them. Besides the safety features offered by this sports accessory, others include a technology for heat exchange and a fit liner that customizable that helps keep the player cool and dry during the game. A rear inflation port also arrives with this helmet which aids in properly adjusting to the plater’s right size. The only drawback is that this amazing item doesn’t come with a facemask. The one that it comes with needs to be bought separately implying that you need to dig deeper into your pockets to acquire it. This premium helmet has gained a reputation as having one of the most comfortable helmet interiors. This has largely been contributed by the comfort liner which increases the interior liner’s coverage of the surface. Also included in this model is a comfort foam which further helps in improving the comfort and feel of this fantastic helmet from Schutt. This helmet arrives having very comfortable DNA jaw pads which the player doesn’t have to worry about when exposed to longer periods of play. Moreover, they are made from vinyl which also makes them very durable besides the comfort accorded. The “standoff” which refers to the space between the head of the player and the shell of the helmet is adequate to ensure that the player can move and breathe whilst making sure that it’s adequately snug to offer protection and support without its falling off in a game. Despite its labelling as youth, this helmet is available in a number of sizes to pick from. On top of that, it comes in a range of colours to pick from and you are therefore assured to find one which will go better with your uniform. Finally it comes with a facemask and a player doesn’t need to worry about going to look for a fitting facemask, it’s also very easy changing the facemask provided as there are a number of attachments for facemasks as well as visors. This product receives a wide recognition for the kind of ventilation and comfort it provides. This helmet has been built out of high-performance polycarbonate. This is a material with the strength to protect the player even from hits of the highest impact. The custom Rawlings comfort cushion also goes the extra mile in ensuring that it not only is a comfortable helmet but it can also be worn for longer periods of time. This is also a lightweight helmet which doesn’t weigh down a player during play. 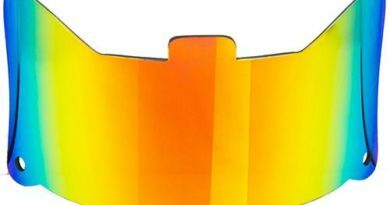 The vents for heat exchange found all over this item are also adequate to keep a player cool and dry throughout the game. All extra hardware found on this helmet is built out of stainless steel. This means that it can’t rust and cleaning is also very easy. This model also comes with attachments for a majority of facemasks and visors which can be found in the market and it thus won’t give you a hard time finding the right kind of accessories needed for your helmet. Finally this helmet has the approval of the NOCSAE and therefore you should be carefree with it on your head. 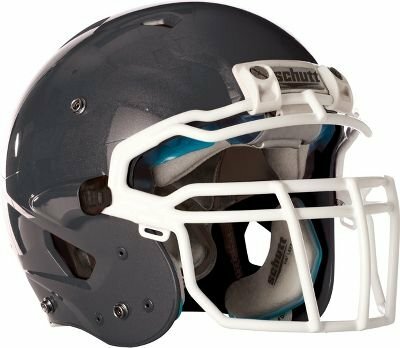 Schutt Sports 798004 Youth Recruit Hybrid Football Helmet is another great helmet from Schutt for players in youth leagues. 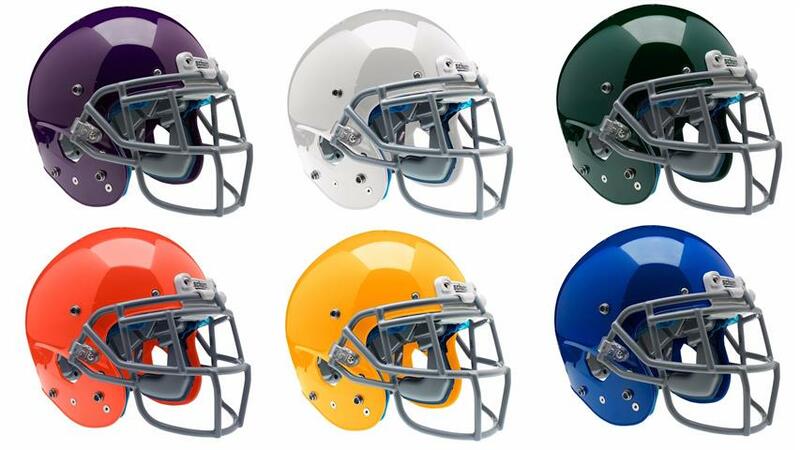 Like all other helmets it comes boasting of a horde of features which Schutt as a company has gained reputation for. Of essence are the safety features ensuring maximum protection for every player and this is the sort of helmet that provides all that. To ensure that the player is also comfortable while playing this helmet has TPU and this helps enhance the performance of the player greatly. The shell is designed to be large so that it’s very effective in absorbing of impact. 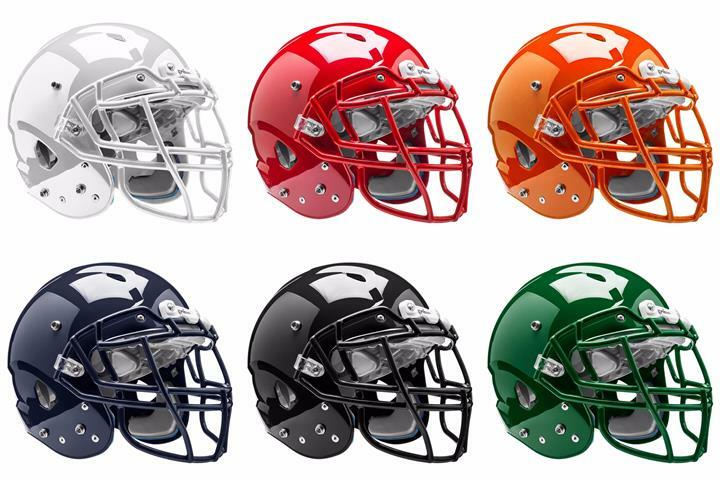 In addition, the Recruit Hybrid helmet is compatible with faceguards from Schutt to provide extra protection to the player. 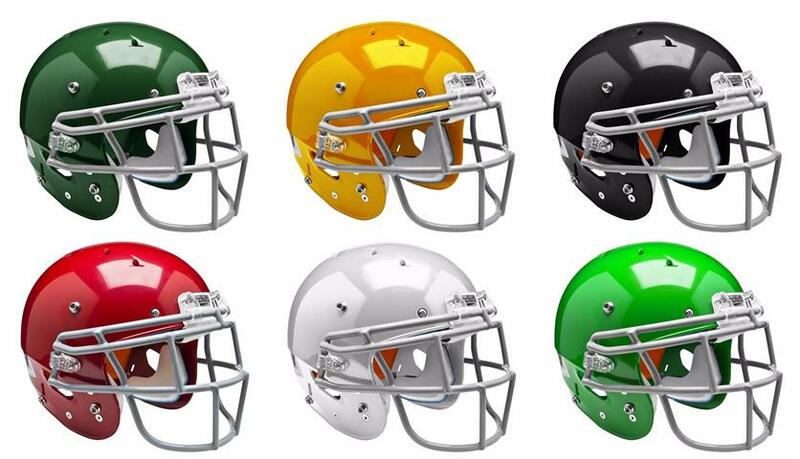 This helmet is designed for football players who are looking for an edge from their equipment. It features a traditional offset with a lightweight design that is very innovative which gives allowance for the conformity of the padding to the helmet’s inside whilst offering comfort and performance to the wearer for different kinds of impact encountered on the gridiron. This is that helmet which has an aggressive type of styling and a kind of padding system that is very innovative and it sure is a very popular accessory. The Epic helmet has been packed with the awesome padding system from Xenith which make use of the Aware Flow shock absorbers to help the wearer with absorbing impacts on low and high impact hits. The inner bonnet of this helmet can fit a range of head shapes on tightening to the head by use of the integrated chinstrap. 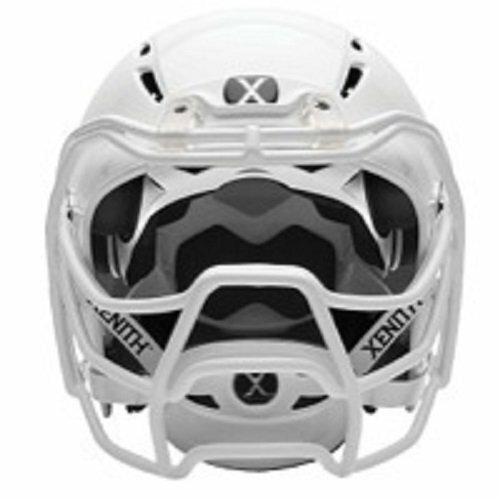 The prime facemask attached gives the wearer a kind of look and its shell design is that it can be recognized easily from the back where an X is formed by the ventilation holes. To conclude this list is the amazing matte black Riddell Revolution SPEED Classic Football Helmet. Of all its outstanding features, its crown liner and its back/side/neck liner that is inflatable truly stand out. This has really made this helmet very comfortable. This helmet does not come with a facemask and that might be a deal breaker for most people. That said, its interior features awesome ventilation and a player can be sure to keep cool and dry throughout the game. It has a very hygienic interior which you can manage to clean and keep fresh with ease. A chinstrap also arrives with this helmet so that you do not need to acquire it separately. It arrives with a chin strap. Has a hygienic interior which can be cleaned with ease. It has a crown liner and a back, neck and sider liner for extra comfort. 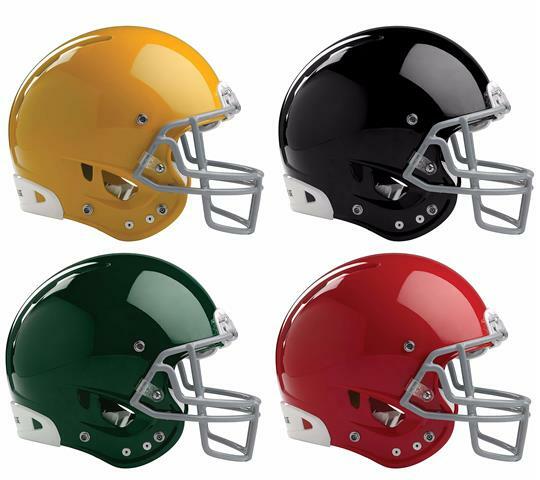 A football helmet refers to the protective piece of equipment donned football players on their heads and it mostly sees usage in American and Canadian football. Its main components are a hard shell made out of plastic with a thick padding in the interior, a face mask made out of metal bars (plastic coated) and a chinstrap. It’s not quite clear who invented the helmet but an earliest recorded instance of its use was in 1896 when the halfback for Lafayette College George Barclay started using strappings and earpieces in protecting his ears. Many benefits stand to be gained with football helmets, but the most important thing is to prevent concussions suffered in football. A number of advances have been made and research has shown that a number of mental problems are suffered by football player which is enough reason for the use a quality helmet. The helmet protects a player’s brain when they are met with impact by an opponent or when they fall down. This is made possible by the hard shell made out of plastic and padding inside. The padding in the helmet’s interior serves as a system of cushioning to prevent receiving the force of impact directly. The chinstrap on the helmet helps to keep on the helmet during the moment of impact. 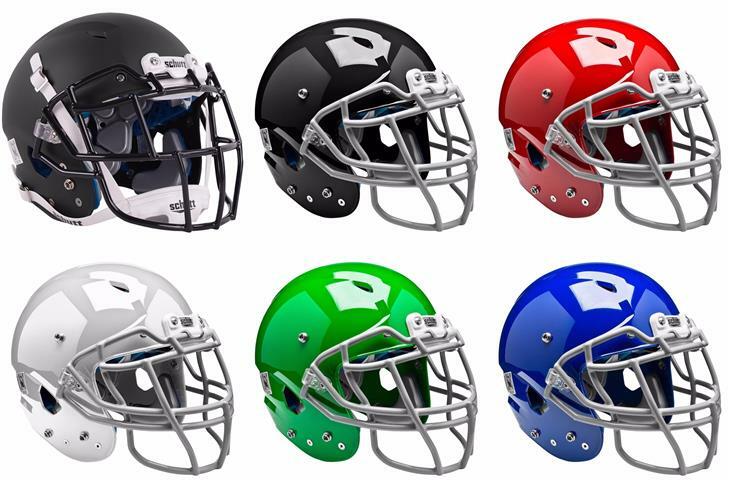 Football helmets also do a wonderful job in reducing the risk of other injuries that are serious and this includes injuries to the eyes, facial fractures and penetration injuries. (NOCSAE) stands for the National Operating Committee on Standards for Athletic Equipment and it’s the U.S. body in charge of certifying helmets and other gear that are used by athletes as safe. As a player, before you even fit a helmet or pause to look at the price tag, ensuring the helmet has the ability of handling the task that it’s intended for should come first. The best way of knowing this is not by just using the feeling in your gut or maybe using the helmet’s weight. Alternatively, you should take the time to look for the seal put by the NOCSAE as it’s the standard accepted for football helmets whether for the youth or professionals. The seal or stamp of approval can be found on the helmet’s back. It doesn’t matter the cost of the helmet, there is no point of buying a helmet if it lacks this seal as will be endangering your own safety. Normally, the athletic trainer of a team helps players in the identifying their proper size of helmet. Every brand of helmet does provide a sizing chart and detailed instructions for fitting the helmet and its care. First of all, use the cloth tape to measure the head circumference. The tape should be positioned an inch over the eyebrows. Using this measurement, pick the best size for the helmet. If the measurement tends to lie between sizes you should pick the helmet with the smaller size. Use your thumbs to grip the bottom of the helmet putting the index fingers in the earholes to pull the helmet into position. It should be a tight fit but ensure that it’s comfortable (more snug). When the helmet is laterally tugged, the cheek pads should not move and the skin on the forehead should move with the helmet. When vertically pulled, it should not sag onto your nose. Pressure by the hand on top of the helmet should feel evenly distributed and not concentrated on the back or front. Not all brands of helmets and styles can fit on every head. That’s reason as to why teams offer their players a choice of models that they can use. A range of brands that you may buy in a goods store selling sports accessory are made using standardized material but the designs they feature set them apart from one another. Pump the padding up. So as to provide quality protection, there are helmet paddings which require air inflation. As you wear the helmet, have a trainer pump the air into the cushioning so as to customize its shape and density for you head. Ensure that the air pressure is checked every week to make sure that the padding has not flattened. Don’t have a reliance on the chinstrap for squeezing the helmet onto your head, it won’t fit. The chinstrap isn’t a device for tightening. The helmet should have a feeling of snugness even without fastening of the strap. Don’t wear a used helmet before it is recertified by a reconditioner who is licenced by the NOCSAE. A seal located in the helmet will inform you. After a year or two, teams usually send their helmets for reconditioning and recertifying.